Welcome to the Friends of Jenyns (FOJ)! 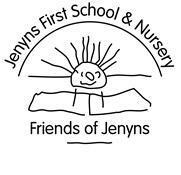 When your child joined Jenyns First School & Nursery you became a member of FOJ, a group that is dedicated to raising money towards special projects and resources for the school, whilst ensuring maximum fun for the children, their families and friends. All parents and carers of Jenyns children help tremendously throughout the year by giving their time or by making donations of all kinds - raffle prizes, cakes, old clothes, you name it! FOJ events and activities are organised by the committee members, with the support of Jenyns staff and governors. You will receive a termly newsletter in your child’s bookbag which will keep you informed of what we’ve got planned, the success of our recent events, and what we have been able to purchase for the children as a result of all our hardwork and fundraising. You can now keep yourself updated on all the activities of the Friends of Jenyns (FOJ) on Facebook. FOJ has set up a closed group so that only parents and staff can see the posts and photographs. Many parents have been added as members already but if you’ve yet to join then simply search for ‘Friends of Jenyns’ in Facebook and request to become a member.